3 February 2017 – Iconic rapper Tip “T.I.” Harris, has made one of the most significant stamps in the rap industry with his Grand Hustle (also known as Hustle Gang) label. Home to some of the most undeniably talented artists including Iggy Azalea, Young Dro, B.o.B and Travis Scott, for over a decade the Grand Hustlebrand has remained a household moniker. 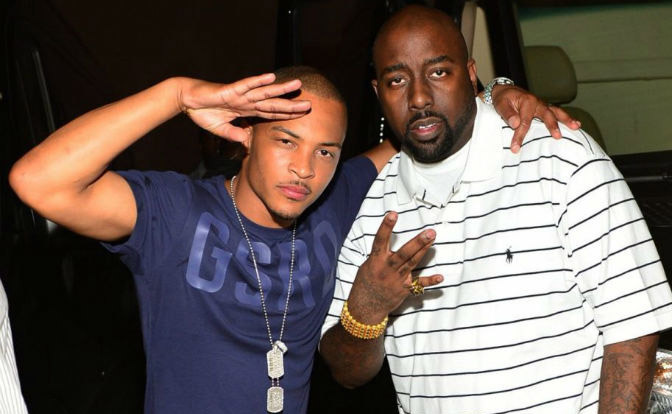 With their growing roster of family, Tip has officially announced legendary Houston rapper, Trae Tha Truth, as the Vice President of Grand Hustle. Trae was widely known as a member of the underground rap collective, Screwed Up Click, in the early 2000’s as well as one half of rap duo ABN. As a solo act, Trae gained much acclaim for his contributions to the Texas music scene. Now, Trae is also focusing on the executive side of the industry, assisting Tip with the newer artists on Grand Hustle such as – Tokyo Jetz, London Jae, RaRa, TransLee and Yung Booke. “Hustle Gang is steadily growing and have always gone against the grain and found non-conventional ways to execute. Trae’s passionate and resourceful angle on the business earned and sustained major seniority for him as an artist, now our new additions to the roster will benefit from his experience. Excited about the potential of Trae as an executive,” Tip stated.